Long Haul Toddler Hacks | Then there were three..
Travelling long haul with a toddler - it's the stuff of utter nightmares. 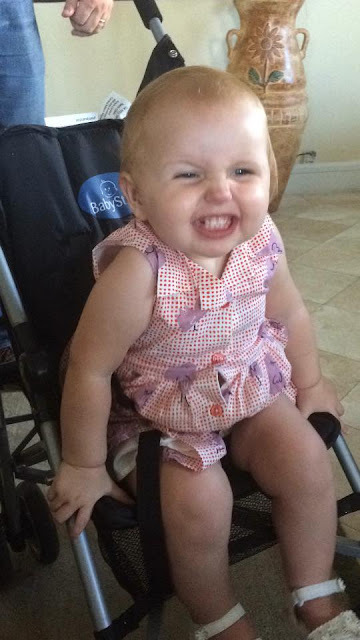 At least it was for me when I decided to take my 17 month old to Barbados. Don't ask me why we decided on such a long trip - it had been 2 years since our last holiday and with my job the opportunity was there, so we took it. We had done a couple of short haul plane trips to Ireland before, but nothing to this extent. - If you can, book them their own seat. This is, by far, the best thing I did. Legally, children aged 2 or over have to have their own seat. If they are younger it is entirely optional, however they will still need to be sat on your lap for take off and landing. With her own seat she was able to sleep in her own space, which she certainly enjoyed, and anything is better than a toddler climbing over you for 7 plus hours! - Snacks, snacks and more snacks! 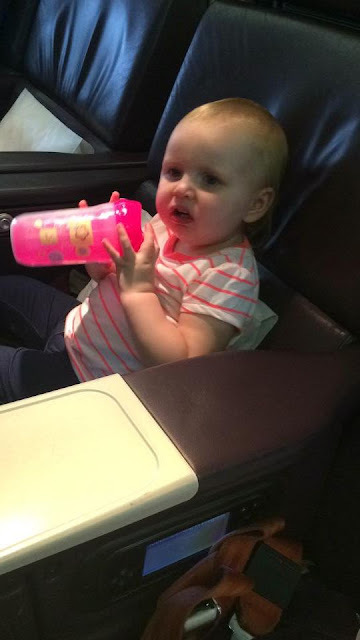 If your toddler is a fussy eater or will only eat on their terms and not when the inflight meals are served then definitely do this! We filled our little ones bag with enough snacks to feed a small army, which was perfect as on the way home she slept through the meal service. An additional tip is to always make sure what can and cannot be brought into the country you're visiting - what you may think is a harmless snack for your child could be illegal wherever you are travelling to. - Activities and toys. 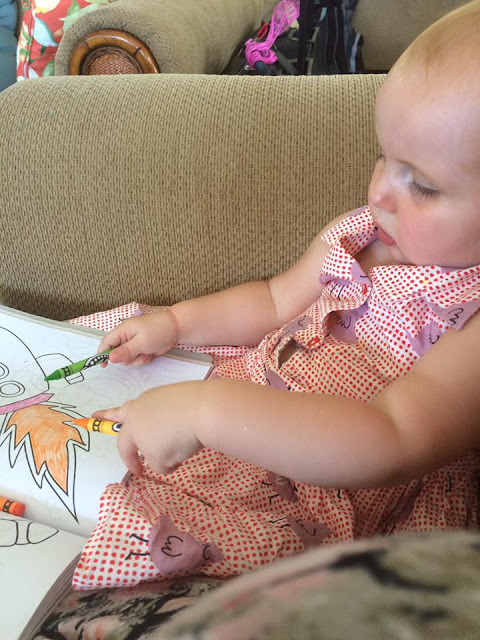 We stocked up on cheap colouring books and water magic books - she loved them and also got a lot of use out of them during the week when the sun got too much for her. - Insulated lunch box for milk. This was my biggest stress - what to do with her milk?! We couldn't keep it in the carton as per airport security, so it had to go into her bottles. As she's on cows milk I was worried it would get warm and go off quickly. We had a 3 hour plus drive to the airport, a few hours at the airport before boarding, a 7 and a half hour flight and at least a couple of hours at the other end to collect bags, clear customs and get to the hotel. A friend suggested an insulated lunch box and I'm so glad she did! Once onboard the crew also gave us a bag of ice to keep her bottles cool and warmed them up when needed. - Buy a cheap pram! I made this mistake when I took my then 7 week old to Ireland with her Silver Cross - it got damaged in the hold and since that day we always had a dodgy wheel that went the wrong way. This time round we had a cheap £30 Argos number which did the job perfect. If it got damaged then it wouldn't have been a huge dent in our pockets. - Comfy outfit and spare clothes. Keep it comfy for travelling! A simple t-shirt and leggings, even pyjamas, are all that is needed, along with a little jacket or blanket. A spare change of clothes that are suitable for the climate you land into are also essential. As we were Caribbean bound, a little dress was perfect to change her into just before landing. I hope that these tips help some of you when you travel with your little one. I would love to hear of any other hints and tips you have discovered along the way! Brilliant! I never flew long haul when mine were young. Now that they are older my main problem is stopping them buying expensive perfume in duty free! Oh and my 15 ur old managed to spill a coffee over my 18 yr old just before we landed in Dubai!